One of the interesting thing about trying to get a good feeling for where Universalists were in a period of time, is trying to find out exactly where some of these towns were! Some have changed their names, and some just no longer exist. Here's where Universalist preachers in Georgia were living in 1859 - 1862,> I've divided Georgia into 4 pieces,. East and West of 1-75, and North and South of I-20. Not perfect , as I-75 starts about the center of the state in the South, but instead of heading north toward Milledgeville, it heads to Atlanta and ends up almost at the western border. Oh well. Waleska (Spaulding County) The town was founded in 1854, and known as Walesca, Misspelled as Waheskie, Wahluskie, etc. LaFayette -- (Walker County), now part of the Chattanooga metro area. Rossville -- (Walker County) Just south of Chattanooga and the Tennessee line. In between the civil war battlefields and Lookout Mountain. Americaus (Sumter County) a few miles away from Plains. Gum Creek, also known as Cony or Coney Station (Crisp County). Just west of Cordele. Plains of Dura - moved a couple of miles and renamed Plains (Sumter County) 3 Universalist ministers living here in the early 1860s. Now if we had looked ten years earlier of twenty years later, we would have seen vastly different areas. 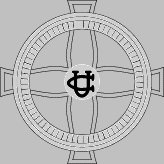 But at the start of the Civil War, most of the Universalist ministers in Georgia were in the Southwest, and half of those in Plains. The capital of Georgia during these years was in Milledgeville (in the southeast area). No Universalist Churches in the Atlanta area during this time. But that will change.